We are getting closer to the halfway point. I don’t dare get too optimistic that this project will proceed as planned, but I can’t help getting excited by what we can accomplish when we work together. Keep those ideas and referrals coming! Please also consider even a small pledge. Crowd funding is all about lots of people making small contributions. This isn’t just about Haiti and the disaster they are still fighting to overcome. We are finding water is coming to play right in our own backyard. 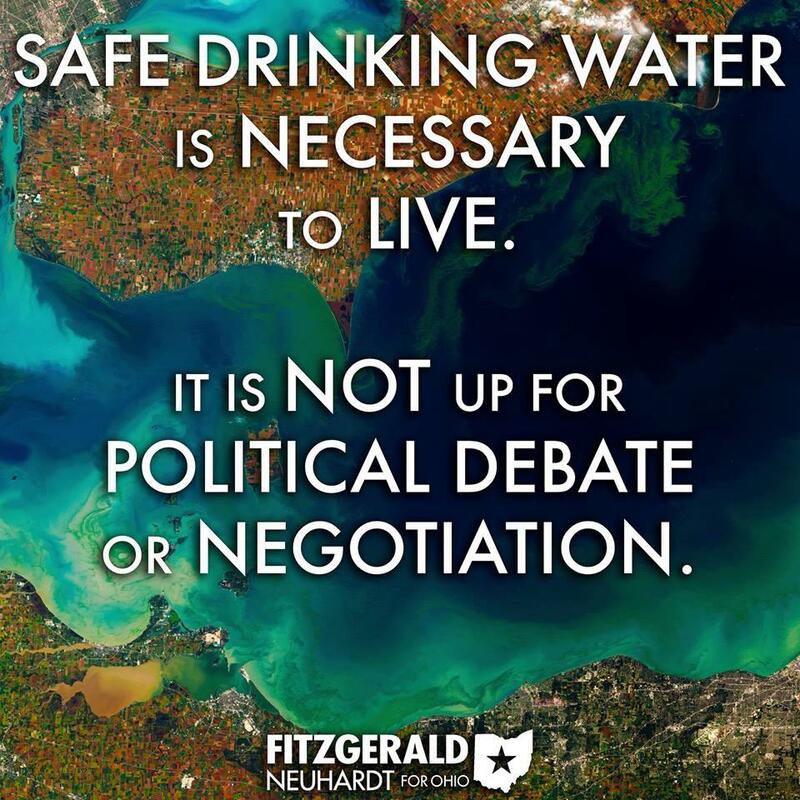 What’s going on in Detroit (water cuttoffs) and Toledo (contamination of the water supply) is the kind of thing that’s been going on for many years all over the world. 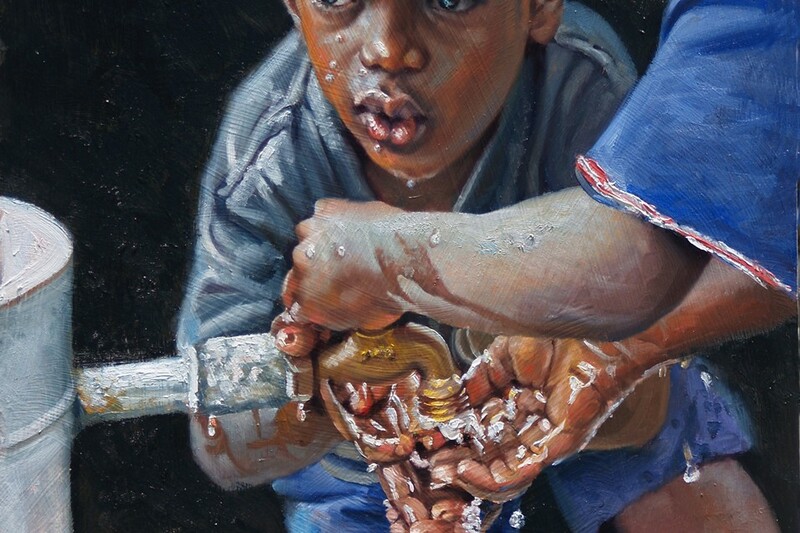 We need to tell the story of how important water is to the smooth functioning of society. It’s not something we can afford to take for granted any longer. Issues around medications and small particulates which are taking over the water we drink, the continued addition of fluoride to our water supply, are all manifestations resulting from the fact that there are those who want to control water. If you can control access to water, you can control society. 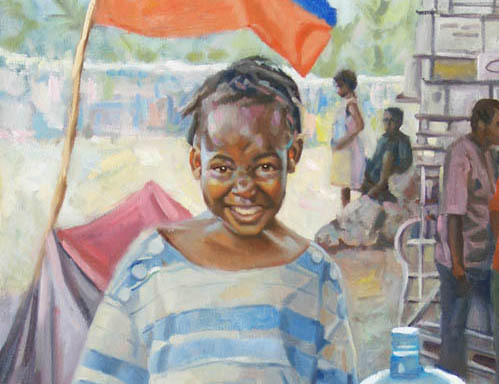 This exhibition will call attention to this issue, using the devastating Haiti Earthquake and the issues around getting fresh water to the people as a way to express what is going on everywhere, to some extent. Fresh water is a right! Patrick Barley liked this on Facebook. Russell E. Ricks liked this on Facebook. Charlesll Fine Art liked this on Facebook. Martine Vallée liked this on Facebook.